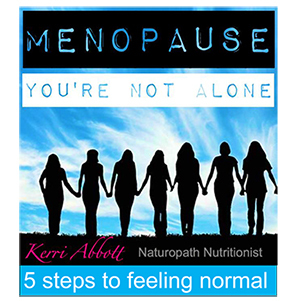 Naturopath Kerri Abbott’s Ebook takes the mystery out of menopause. “I wrote the eBook to give people hope,’’ Ms Abbott says. “There is light at the end of the tunnel. Ms Abbott says that while a sense of humour is vital at this time of a woman’s life, what is even more important is an informed approach to managing the symptoms of menopause. Ms Abbott’s eBook looks at diet, lifestyle changes and the benefits of exercise, minimising toxins, ways to de-stress and the potential benefits of supplementation. ‘Menopause – You’re Not Alone.’ can be purchased online for $9.95 at Ms Abbott’s website www.sunshinecoastnaturopath.net.au which also includes her contact details.